Learn more about the history of the U.S. Coast Guard in WWII in a special two-day event at the Museum. U.S. Coast Guard historian Beth Crumley will be speaking daily (1:00 p. m.) on the personal history of Medal of Honor recipient Douglas Munro. Munro, the Coast Guard’s only Medal of Honor recipient, died a hero evacuating a battalion of Marines trapped by the Japanese at Guadalcanal on September 27, 1942. Ms. Crumley will also be providing information on the history of the Coast Guard at Guadalcanal, specifically on the events of the 2d Battle of Matanikau. 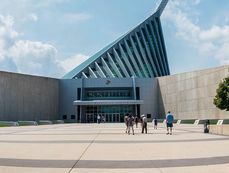 SPECIAL EXHIBIT: During the event, the Museum will have on display Munro’s Medal of Honor and special artifacts and exhibits on the Battle of Guadalcanal. This is the first time since the 1960s that Munro’s medal has been on display outside of the USCG Academy in Connecticut.